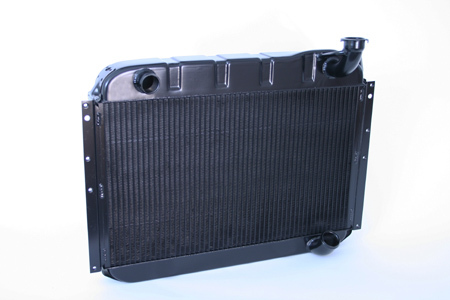 This aluminum radiator is the ONLY true "direct fit" radiator on the market. It features the correct "press formed" aluminum tanks and factory type side brackets. Doubles the cooling capacity and only weighs 12lbs.